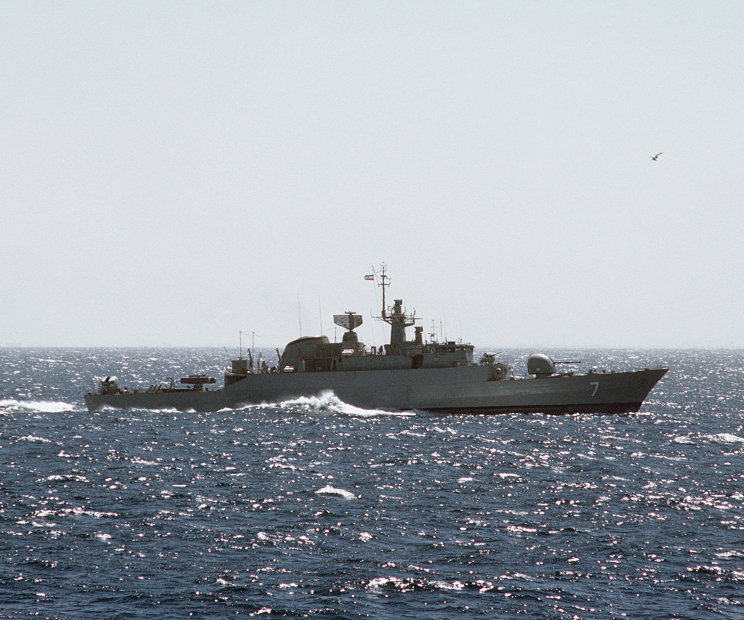 An Alvand Class frigate seen in the Persian Gulf. 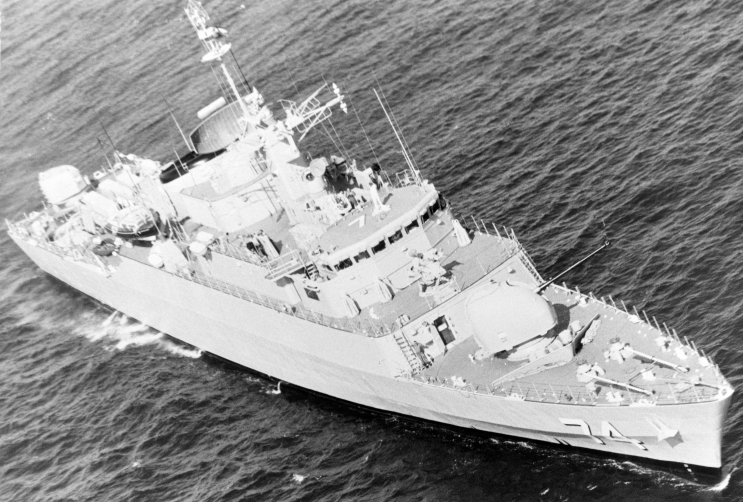 The Iranian frigate Sahand F-74, date and location unknown. 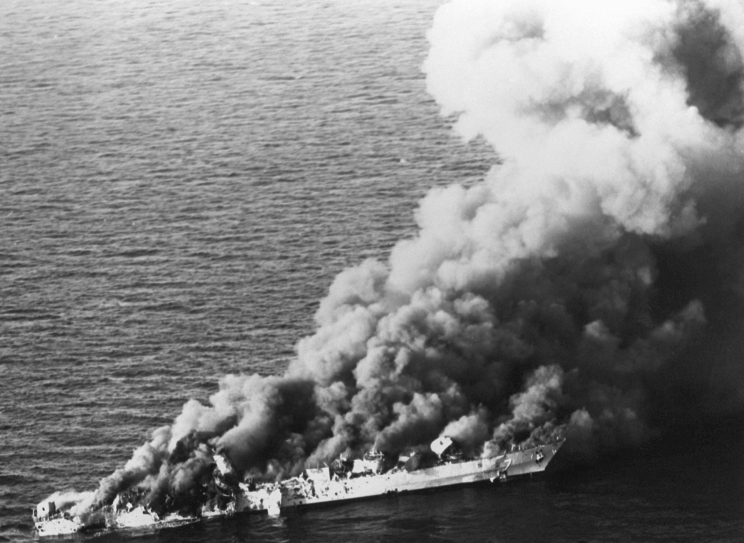 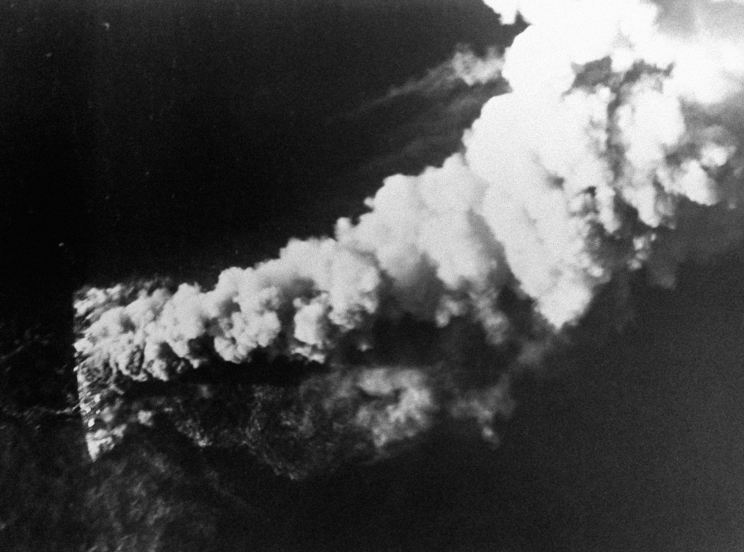 April 18, 1988: The Sahand F-74 burning after being attacked by aircraft from USS Enterprise CVN-65.